Xtralite's aerogel panel glazing system proved to be an essential component in realizing Watson Burnett Architect's light and airy design concept. 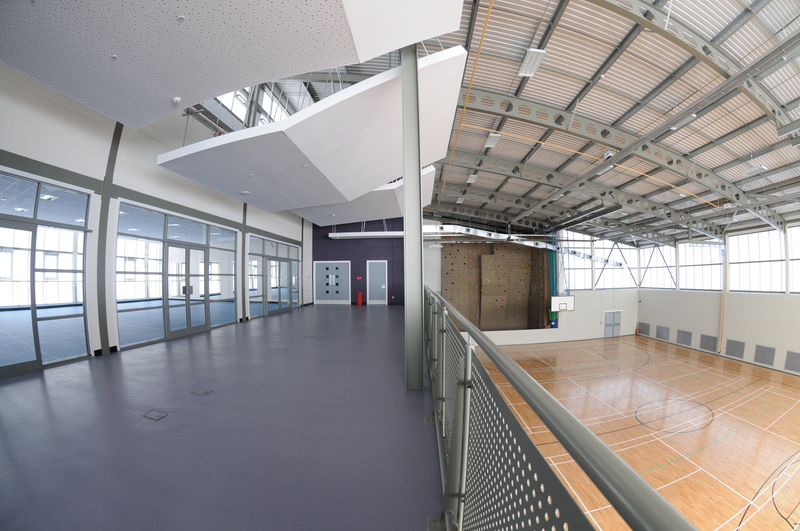 The Royal Marines Physical Training and Recreation Centre at RM Condor combines a range of different activity spaces. It would have been easy for the designers to follow the well-known sports building typology, but a refreshing approach has been taken instead, as project partner Alistair Burnett explains, "There is no pretense that this is anything but a big building. But rather than the traditional big dark box solution, we wanted to create an unexpectedly light and open building. Users will spend a lot of time in this building, whether for training or recreation. There is even a club which acts as the social focus during free time. So it was essential to create a light, un-oppressive environment. Activity areas on the ground floor are generally full building height and the upper floor is spanned by a gallery open to the areas below. Bringing all these open areas to life, natural daylight floods in through Xtralite's LUMIRA® aerogel panel glazing, used extensively to accentuate the light and open feel of the interior." The designers sought to maximize energy conservation with passive measures rather than by employing renewable technologies. With a U-value of just 0.91W/m²K, the 25 millimeter-thick LUMIRA aerogel panel glazing could be used extensively to provide high levels of shadowless daylight. This performance is ideal for the physical activities involved, while still easily meeting the thermal insulation requirements of the Scottish Technical Standards and limiting solar gain. This extensive use of daylight substantially reduces artificial lighting energy use, particularly when sensor controlled. Various passive ventilation techniques are also employed, including operable windows within the LUMIRA aerogel panel glazing. Controlled clerestory lights allow warm air extract to create a laminar draft-free air flow, supported by purge mechanical extraction during heavier use.